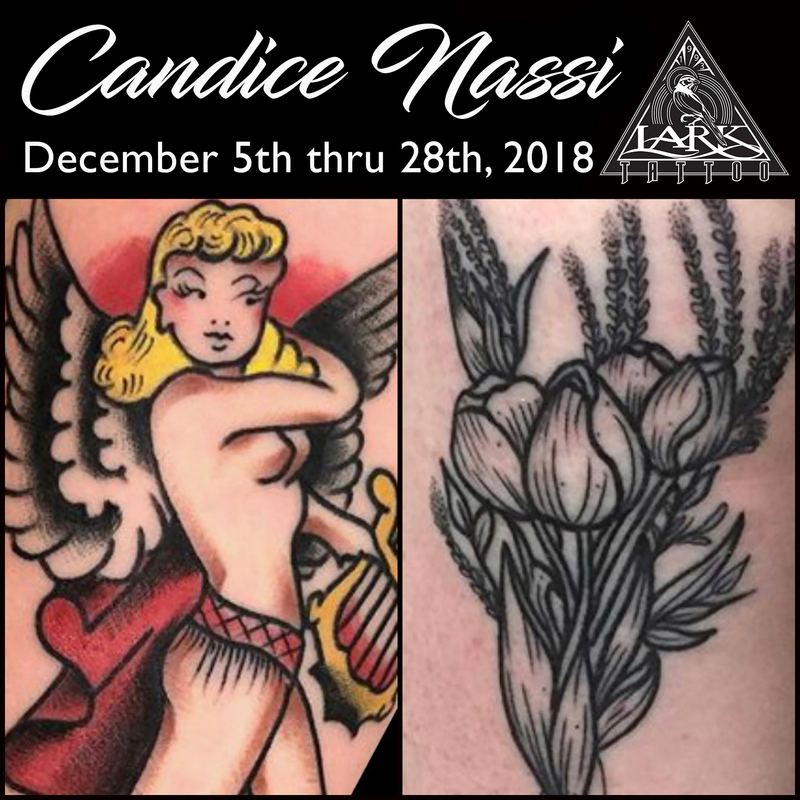 Candice Nassi returns to Lark Tattoo Westbury December 2018! Candice Nassi is returning this December for another guest spot! Just like last time, she will definitely fill up, so get your appointment now! Call:516-794-5844 or email info@larktattoo.com for info/bookings.